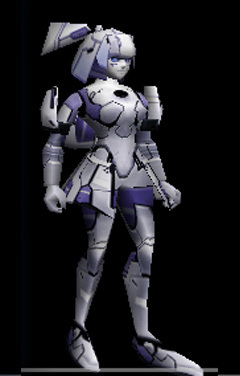 Caty is the autonomy type android who is high-level and enabled feeling control. The feeling characteristic is always obedient to human by loading of an irreversible self-sacrifice program. A catch copy is " Offering a life to you." 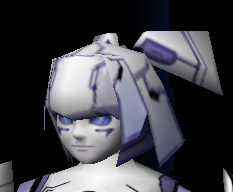 (C) SONICTEAM / SEGA, 2000, 2001.
and captures it from the game for Windows "Phantasy Star Online." Distribution and re-printing are forbidden.